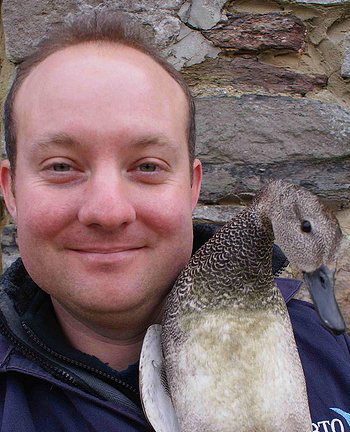 Ed Drewitt is a naturalist, broadcaster and feather expert. He talks of his passion for collecting bird feathers. He explains the role of different types of feathers on the body of a bird. Ed’s interest for all things birds has led him to write ‘Urban Peregrines’. Inspired by Ed’s bird feathers collection? Why don’t you collect and display your own feather collection while learning to identify different types. Signs and Symmetry in Feather patterns. from left, Asymmetrical wing feather and a contour feather of the body showing downy part. The Cornell Lab of Ornithology has an excellent interactive page to help identify types of bird feathers. Use it to help study your own feather collection. “My favourite feather I’ve ever found is from a Mandarin Duck – a bird that is found in China but has become feral on lakes and rivers in parts of the UK. The male birds have a wonderful inner wing feather that is big and broad, and bright orange! 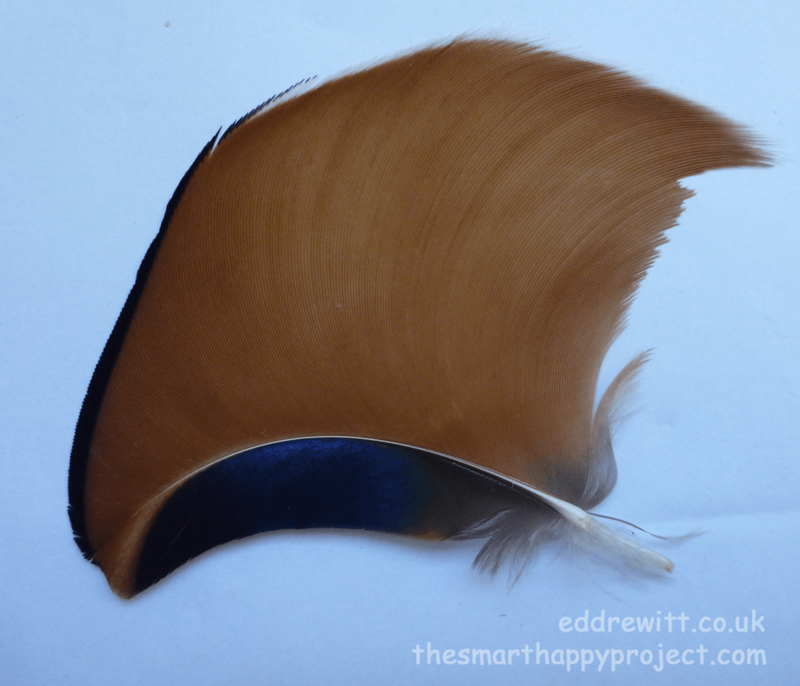 When Mandarin Ducks moult, this feather can easily be lost but one day by a lake I found one laying on the grass. It has been my prize possession ever since!.” Ed has recently written a book ‘Urban Peregrines’ published by Pelagic and is available to buy now Can you tell which of the feathers in your collection is a downy type? or a tail feather? Pin them onto a plain piece of paper to show off the colours and shape. (use a cork pinboard or foam sheet underneath) See images of our feather collection here. 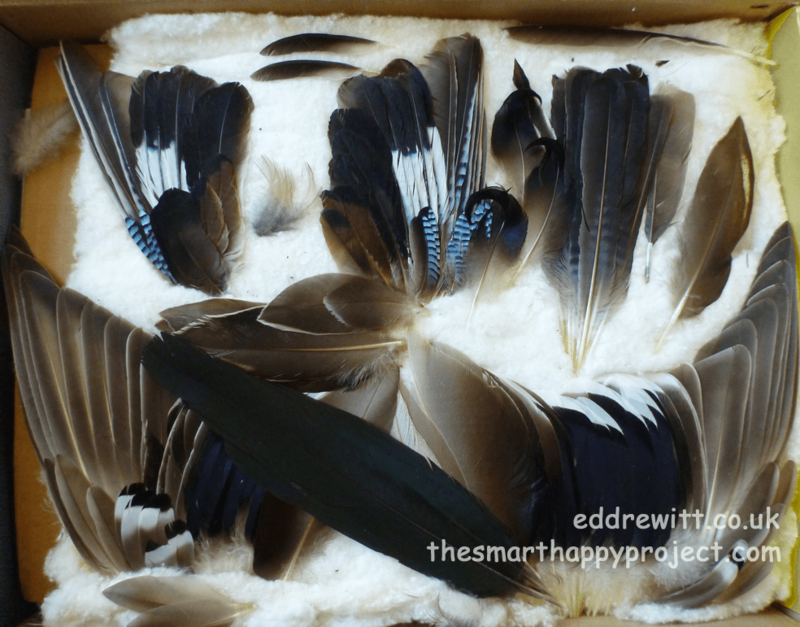 Can you collect enough wing feathers to lay them in the correct order and look as real as possible.? No Birds were harmed in the making of this post! If you enjoyed it, please share with three friends. Thankyou! 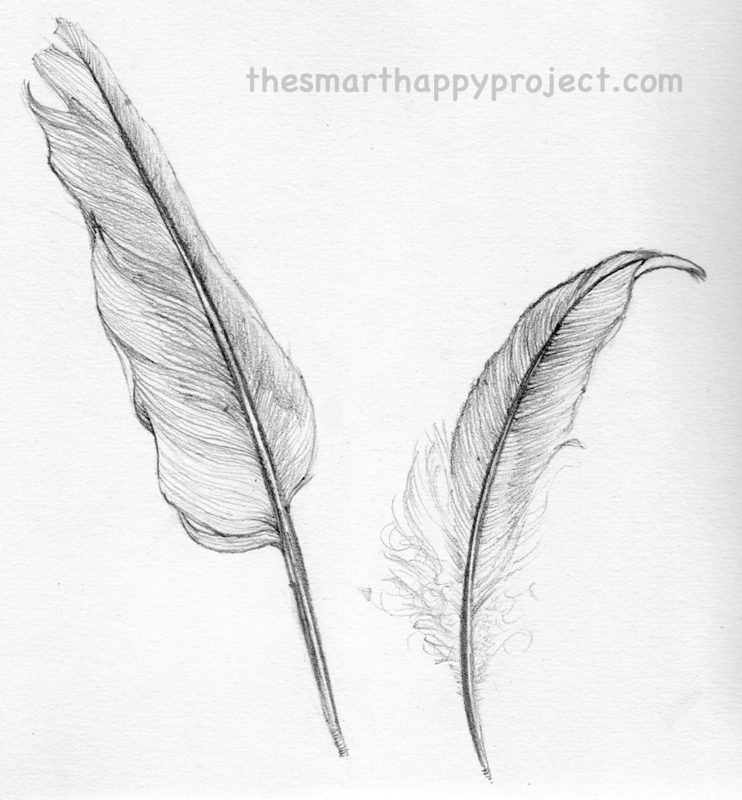 The Smart Happy Project is growing through word of mouth. Join the membership to hear more about activities to connect children to nature.